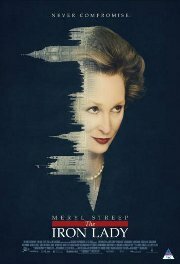 This biopic takes a look at Margaret Thatcher's political career, from her humble beginnings as a shopkeeper's daughter all the way to her multi-term rule as British PM. She not only had to deal with entrenched sexism in parliament, but also multiple crises, both local and international. The film has been nominated for two Oscars and has multiple other nominations and awards. Comments A portrayal of the life of Margaret Thatcher. Her passion, loves and regrets are shown in a sensitive manner.